Christopher Aspaas, conductor of the St. Olaf Viking Chorus and Chapel Choir, is compiler and editor of this new collection of anthems for male voices in the rich tradition of St. Olaf choral music. This collection is suitable for all levels of ability for use throughout the year. 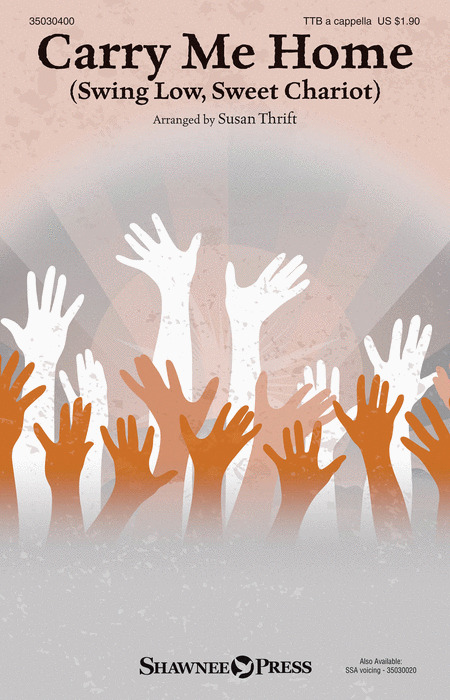 Here are fourteen well-crafted and accessible anthems that will be useful to church, college, and community choirs. In addition to several classic settings by St. Olaf composers, the collection includes new male chorus arrangements of popular anthems, as well as new works based on familiar hymns or freely composed. Sixteenth century composer Lodovico Viadana created the wonderful work "Exultate Justi" that is now a choral performance classic, performed regularly by choirs throughout the world. Earlene presents this new setting that will give either your men a chance to shine. The well-known song "Psallite" by Praetorius from the German Renaissance period has long been a part of our choral repertoire. 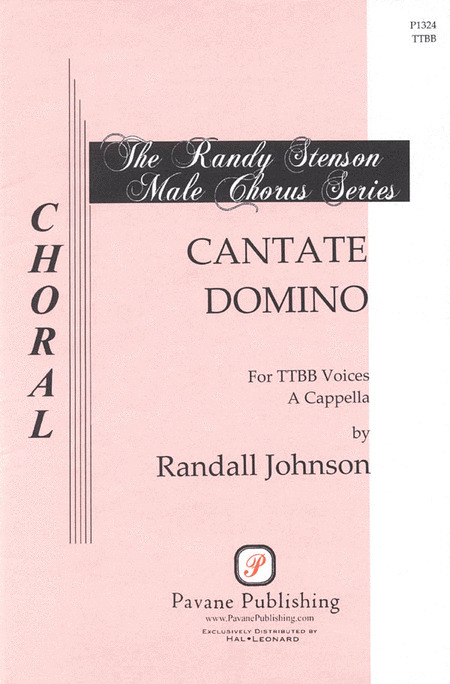 Russell Robinson has created an easy-to-sing SATB setting as well as a three-part men's edition. A perfect way to present standard choral repertoire to your developing choirs. Arcadelt is known for his homophonic, tuneful settings. Provided with a new English text by the editor, the late Renaissance work "Come Join In Singing" is perfect for the emerging mixed ensemble. The boys' range is limited to five notes. Performed a cappella, with keyboard or with instruments, this work is ideal for concert, contest or festival. The easy-to-sing concert work "Sing Gloria!" is built on Billing's Wake Ev'ry Breath canon. It's an ideal concert opener that will be a welcome addition to every choral library. "Laudate Dominum" - Victoria, one of Spain's finest composers of the Renaissance, has been immortalized for his combination of melodic lines which weave beautiful tonal tapestries. This work, in our Easy Choral Masterworks series, is very short and accessible for young voices. Perfect for concert or contest. The most famous of all 15th Century Italian madrigals "Fa Una Canzona" is brought to life in this new Russell Robinson edition from our Developing SATB Repertoire series. Both English and Italian texts are included. Classic hymn tunes have been carefully crafted for young men's choirs to help changing voices sound their best. Excellent a cappella choice for contest. Thie new edition of "Bless The Lord, O My Soul" by Joyce Eilers is perfect for beginning TTB choirs. The optional piano part helps to build the confidence of your young singers. The famous masterwork "Bless The Lord, O My Soul" by Russian composer Mikhail Ippolitov-Ivanov has been arranged for younger choirs. Excellent for developing style, blend and intonation. This is a fine collection of unaccompanied music from some of the master's of the golden age of polyphony. Missa Ave Regina Coelorum (c.1464) is Dufay's crowning achievement and we know that Dufay requested that this Angus Dei be sung on his deathbed. Crucifixus was originally intended for solo voices, but is transcribed here for four-part male chorus. It may be sung effectively by solo voices, chamber choir, or full chorus. Everybody's repertoire should include some examples of this early music style and are both fun and interesting to perform. This music has been sung for 500 plus years and still continues to please! These useful benedictions and blessings is perfect for those occasions when you want to showcase your male voices. It includes a traditional favorite, the celebrated The Lord Bless You and Keep You by Peter Lutkin. Arranged here for the first time for men's voices, this familiar response is followed by a new, original composition, Benediction, that is more contemporary in nature. Both pieces contain lush harmonies and a rich glee club sound that bring out the best in a men's choir. Put a beautiful ending on your worship service with Two Benedictions for Men. "A Parting Blessing" is a proven winner that has stood the test of time. We are pleased to award that prestigious status to A Parting Blessing. The familiar words and melody will resonate with your audiences. A great way to close your concert. In a time of increased multi-cultural awareness, "Bwana Awabariki" offers an ideal piece of African culture for both churches and schools. The song emphasizes rhythm, blend, and African-style vocalism with broad, open chords and the familiar low, low bass part. This warm a cappella blessing would be especially effective with added percussion. Well suited for World Communion, mission emphasis, or any multi-cultural gathering, Bwana Awabariki is fun. Randolph C. Stenson is on the music faculty at St. Mary's International School in Tokyo, Japan, where he conducts the St. Mary's Men's Choir, Varsity Male Ensemble, and International Show Choir. With more than twenty years experience in developing male ensembles, his groups have gained international recognition, winning top honors and awards at competitions and festivals in Japan and abroad. 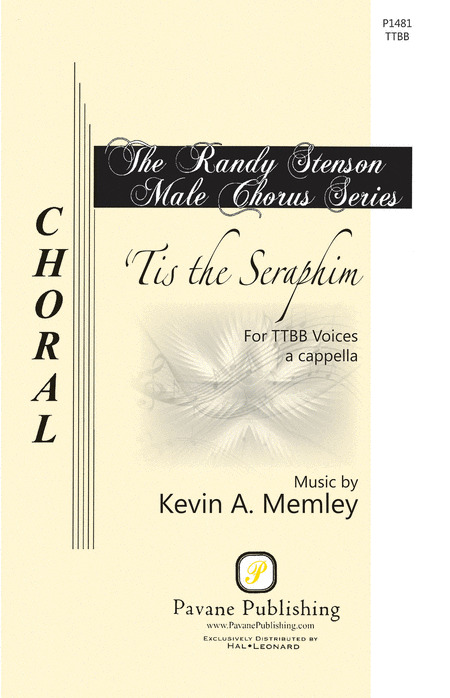 This package is a collection of TTBB arrangements handpicked by Mr. Stenson, each of these challenging pieces will bring out the best in you Men's choir! Performed at the 2005 ACDA National Convention, this original is filled with rhythmic and energetic verve. You will love the rich, triadic harmonies of this joyful and celebratory work that is based on the psalms. Written for a men's honor choir, it is also available in mixed and treble voicings and offers many programming options for concert and worship. Includes performance options for congas and cabasa. Available separately: TBB, SATB, SSA. Duration: ca. 3:10. This setting is unlike any other version of Amazing Grace, with a gospel style that features both 4/4 and 3/4 time. The vocal parts are not difficult, making it an excellent setting for junior high and smaller church choirs. Available: SATB, TTBB. Performance Time: Approx. 3:35. This choral sparkles with rhythmic vitality, an easy-to-feel use of mixed meter, marvelous contrasts in texture and dynamics, and the clever addition of flute and percussion to enhance the crisp piano accompaniment. Outstanding for mixed voices, it is now available for your men's choirs! Available: SATB; SAB; TBB; 2-Part; PianoTrax CD. Randall Johnson is a master at combining traditional and jazz styles. The Latin Benedictus text harkens to an ancient time, and after a solemn start, the music suddenly breaks into a fast and festive roll. 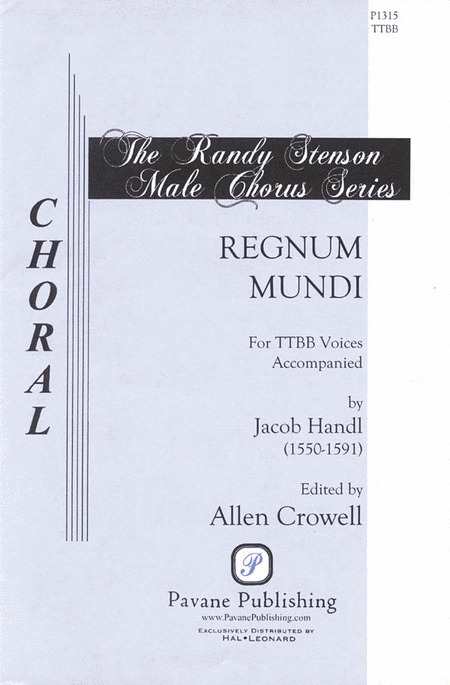 Selected for the Randy Stenson Male Chorus Series, this is a great high school or festival number. This piece was performed at the 2015 ACDA National Convention. Medium difficulty. Opening with a jubilant vocal pyramid, this vibrant selection is perfect for competition and honor choir performances. Easily learned Latin phrases alternate with English for an exceptionally rewarding choral experience. A fantastic opener! Duration: 1:40. Available separately: TTB and SSA. Uses: Ash Wednesday, All Saints, Memorial, Concert, Youth Choir Scripture: Psalm 104:1-4; Mark 13:24-27; Philippians 3:20-21 Now available for men's voices! This classic spiritual is given the utmost care in this stellar arrangement. The sensitive writing delivers layers of beauty that cascade effortlessly from the printed page. Unison singing mingles with moments of luscious harmonies giving listeners a glimpse of the divine. Stunning! Now available as a separate choral, men's choirs will have the perfect piece for Mother's Day and any other event when men sing together. Sjolund and Bock are two of the giants in sacred choral music, and their collaboration on this anthem is dynamite. The beautiful Franz Schubert melody is carefully and tastefully set in this TTB (opt. TTBB) edition with both English and German texts, making it a wonderful selection for both concert and church programming. Available separately: SATB, TTB. Duration: ca. 2:30. Uses: General, Patriotic Scripture: II Chronicles 7:14 Now available in accessible TTB and SAB voicings, these timeless lyrics are a paraphrase of II Chronicles 7:14, relevant for personal and corporate application. You may find this useful for a patriotic service or during a time of prayer for our nation. Score and Parts (fl 1-2, ob, cl 1-2, tpt 1-3, hn, tbn 1-2, tbn 3/tba, hp, perc, bells, timp, rhythm, vn 1-2, va, vc, db) available on CD-ROM and as a digital download. Laura Farnell : Jubilate Deo! This joyful, rhythmic setting of Psalms 98 and 148, with a rich, lyrical contrasting section, is a strong selection for concert, contest and festivals.Available separately: SATB and TTB. Performance Time: Approx. 2:50. John Leavitt : Laus Deo! Bright syncopations and vivid choral writing energize this festive work for male voices. Brief quotes of carol melodies make this setting ideal for Christmas or concert performances. With optional percussion. From Cantata No. 196 (Der Herr denket an uns), this duet is artfully set for male or treble choirs. An excellent concert or contest feature!Available separately: SA and TB. VoiceTrax CD also available. Performance Time: Approx. 3:45. One of the most popular young choir selections ever is now available in SATB and TTBB voicings. This original spiritual is a perfect motivator for young singers! Available separately: SATB, 3-Part Mixed, TTBB, ShowTrax CD. Duration: ca. 2:30. 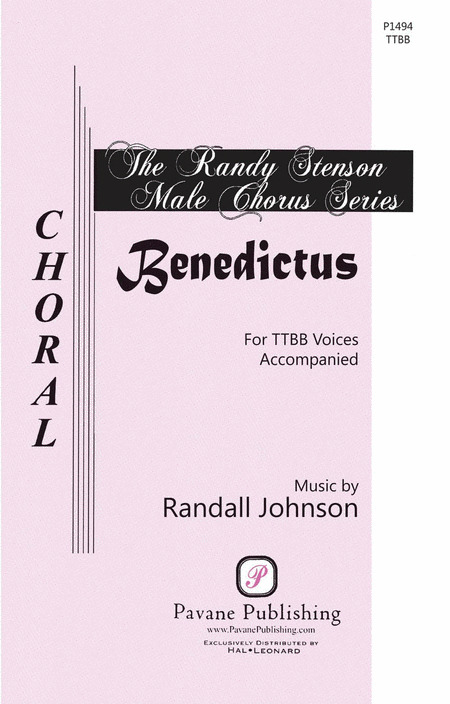 Selected for the Randy Stenson Male Chorus Series, Serino's setting of the Pie Jesu text for male voices is simply beautiful. Luscious harmonies and lilting melody lines cradle this time-honored text. An excellent choice for good high school and college male voice choirs. This hauntingly beautiful work from Andrew Lloyd Webber's acclaimed Requiem is now available in a simply stunning a cappella edition. Available separately: SATB divisi, SSAA divisi, TTBB divisi. Duration: ca. 2:35. From the Oratorio de Noël, this is a superb masterwork arrangement for beginning male or mixed choirs. Victor C. Johnson : Psallite Hodie! Bright syncopations and powerful rhythms are the hallmark of this concert selection for male voices. Great vocal ranges for developing voices and a mixture of textures make this an excellent festival showcase. Jacob Handl (1550-1591) was called the "Bohemian Palestrina" of his day. Allen Crowell has edited this stirring anthem for male voices. Randy Stenson selected it for his TTBB series. The text of humility and reverence appears in its original Latin. Simply put, this is a beautiful piece of music. These two three-voice motets make excellent choices for contest. Includes: In monte Oliveti, Tristis est anima mea. Available: SSA/TBB a cappella. Peformance Time: Approx. 2:30.